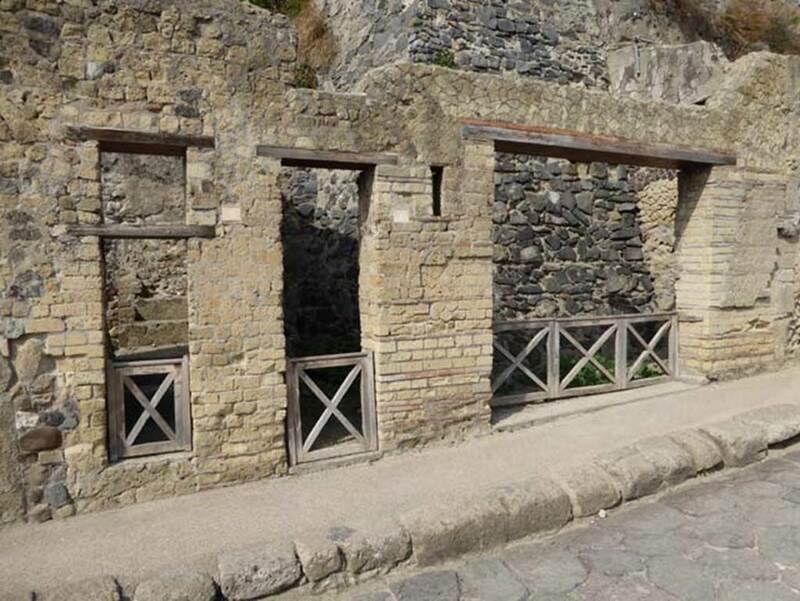 VII.7, Herculaneum, September 2015. Wide entrance doorway on west side of Cardo III, with wall at rear holding back unexcavated. 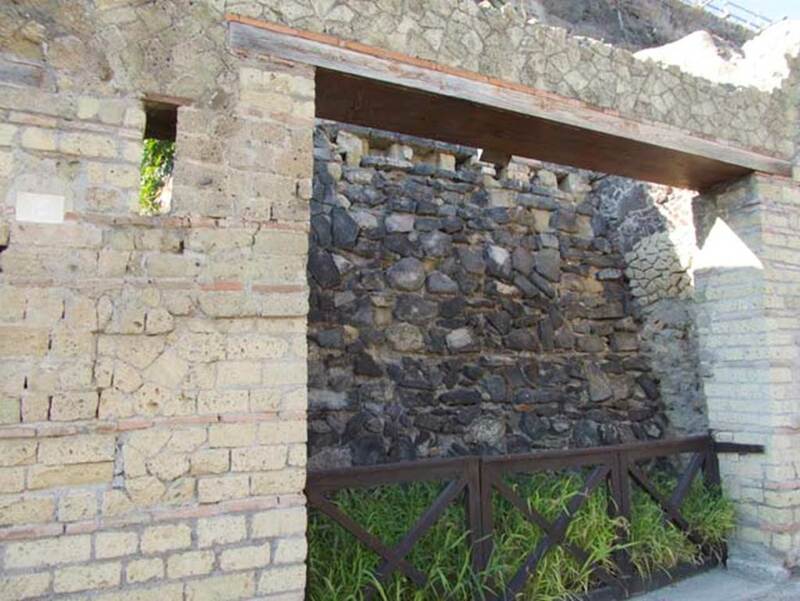 VII.7, Herculaneum. June 2006. Looking west towards entrance doorway on Cardo III. Photo courtesy of Nicolas Monteix. 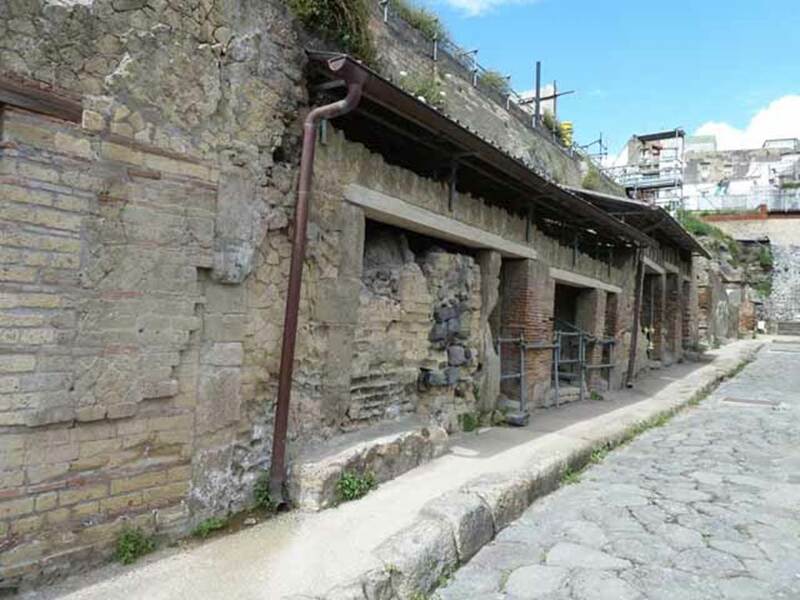 VII.5, on left, VII.6 in centre, and VII.7, Herculaneum. October 2014. Entrance doorways. 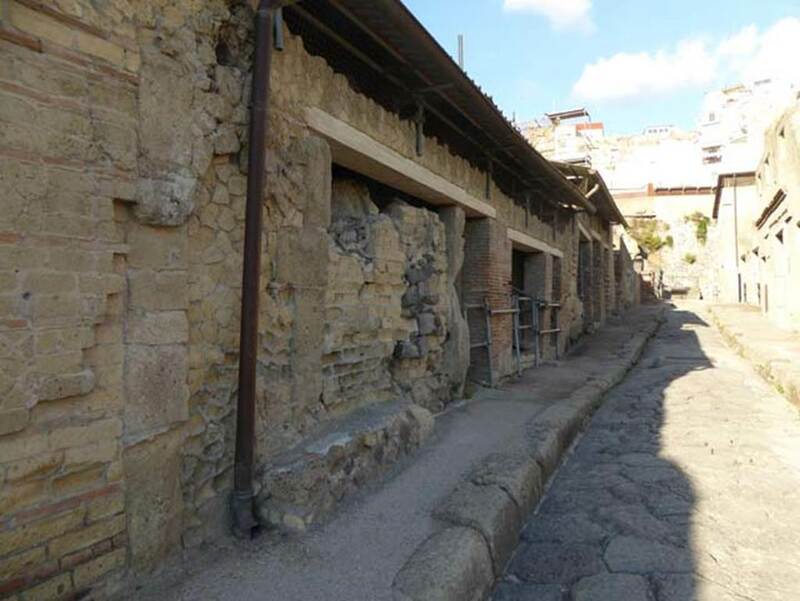 VII.7, (blocked) on left, Herculaneum, September 2015. Looking north along west side of Cardo III Superiore. 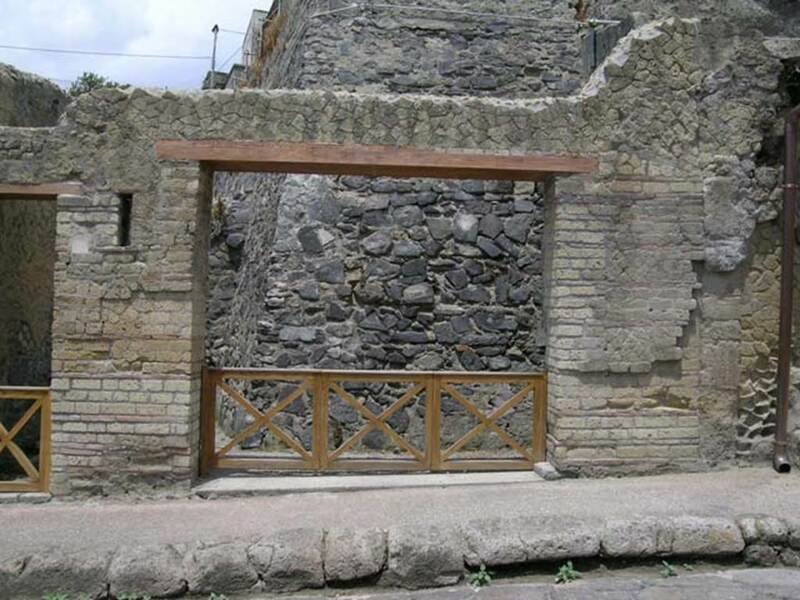 VII.7, (blocked) on left, Herculaneum, May 2010. West side of Cardo III Superiore, looking north.